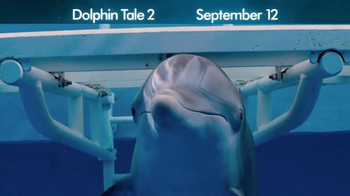 In this week’s edition of the Variety Movie Commercial Tracker, powered by iSpot.tv, “Dolphin Tale 2” leads in spending with an estimated outlay of $8.5 million for spots that have aired 1,573 times across 44 networks through August 24. The target demo for the drama, a new entry on our weekly chart, should be obvious from the fact that Disney XD and Cartoon Network were the top two networks for its commercial placements. “If I Stay” moves up a spot, from third to second place, with a bump in estimated spending from $4.5 million in our chart last time to $6 million this time. 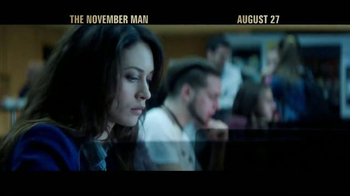 “The November Man” moves up too, from fourth to third place, with a boost in estimated spending from $3.6 to $5.3 million. “Sin City: A Dame to Kill For,” though, is tapering off its commercial spend, from $5 million last time to $3.5 mil this time — just enough to allow it to slip into our ranking in last place. 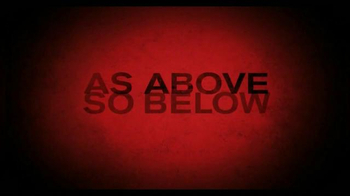 Our one new entrant: “As Above, So Below,” with $5 million in estimated spending (1,322 airings across 34 networks). The TV campaign for this horror movie has been relatively low-key, with commercials only trickling onto national TV starting on July 26. With an estimated lifetime-of-campaign spend of $5.6 million, that means nearly 90% of the TV outlay to date came just one week before “As Above” hits theaters. 1 Movie titles with a minimum spend of $100,000 for airings detected between 08/18/2014 and 08/24/2014.